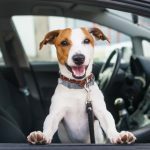 As with all recommendations, those above and the more detailed ranking and senior dog supplement reviews below, keep in mind that no supplement can reverse aging or make our best friend young, vibrant puppies once again. Though sometimes young and middle-aged dogs can use an adult hip and joint supplement as well. 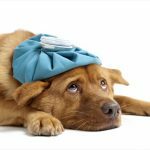 What supplement possibly can do, is improve your dog’s condition to make their life better. Each jar of NaturVet Senior Wellness Hip & Joint supplements contain 40 time-released, chewable tablets. The active ingredients include Glucosamine, Methylsulfonylmethane (MSM), Bromelain, Egg Powder, Chondroitin Sulfate, Calcium Ascorbate, Alfalfa, Yucca schidigera, Linolenic (Omega-3), Zinc, Hyaluronic Acid, Manganese, Vitamin E and probiotics. The product is made in the USA with a 100% guarantee by the manufacturer. A good and all-around product which we rank with FOUR STARS. This product may have to be ordered from third-party sellers (if purchased on Amazon) or may be purchased at your local GNC store or outlet. Each bottle of GNC Pets Ultra Mega Hip and Joint Health Tablets for Senior Dogs contains 120 chewable tablets. The tablets are beef flavored and appear to be well liked by most dog. Each tablet contains 500mg of MSM. It also contains brewers yeast, so be sure your dog is not allergic to this ingredient. 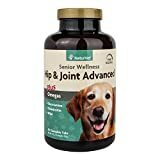 Other ingredients include glucosamine and chondroitin, which have been proven to be effective in the relief and repair of muscular tissue in older dogs. Due to its somewhat higher price and lack of easy availability, we give GNC Pets Ultra Mega Hip and Joint Health Health Tablets for Senior Dogs our own exclusive THREE STAR ranking. Each large bottle of Vetonic Senior Stride Supplement contains 225 soft chews. The soft chews contain the seven active ingredients of Glucosamine, Chondroitin, HA (Hyluronic Acid), Vitamin C (Ascorbic Acid), MSM, Creatine and Boswellia Serrata. The inclusion of the last two ingredients is somewhat unusual in senior hip and joint supplements. According to the manufacturer, the vitamin C is included to, “promote collagen development’ while the ingredient Boswellia Serrata (a resin derived from the Boswellia Serrata plant) is said to, “block enzymes responsible for inflammation”. 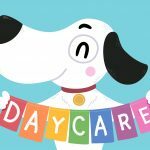 The product is made in the USA with a no-risk money back guarantee offered by the manufacturer. We give Vetonic Senior Stride Supplement our highest FIVE STAR rating. Each bottle of PrimePaws ActivFlex for Senior Dogs contains 120 soft chews. The manufacturer states that the chews are gluten, corn, wheat and soy free. Additionally, the product doesn’t contain sugar, salt or gumming agents. 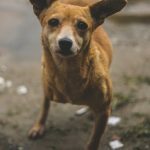 Though most consumers will purchase the product for their senior dog, it is also formulated for all dogs, including young, middle aged, small, medium and big dogs. There are eight active ingredients, including Glucosamine, Chondroitin, and MSM for dogs. Additional ingredients include organic turmeric, which is said to be a safe anti inflammatory and natural pain reliever. The soft chews also contain two vitamins; vitamin C & E. It is made in the USA with a “100% Lifetime Satisfaction Guarantee” by the manufacturer. 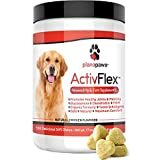 Due to its ingredients, pricing and positive consumer reviews, we give PrimePaws ActivFlex for Senior Dogs our highest ranking of FIVE STARS. Each bag of Tomlyn Joint and Hip Chews for Senior Dogs contains 30 chews and are flavored with chicken. Each chew contains contains 450 mg of Glucosamine and 400 mg of MSM. In addition, the chews contain Chondroitin which, “helps to maintain healthy cartilage and supports normal joint function”. Other ingredients also include Creatine and Omega-3 fatty acids. The manufacturer offers a 100% satisfaction guarantee. Tomlyn Joint and Hip Chews for Senior Dogs is a good, all-around choice – we rank it our own FOUR STAR rating. 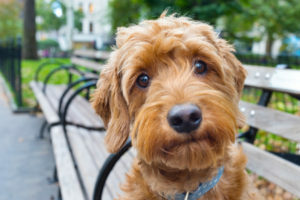 Each plastic bag of Vetri-Science Laboratories Glyco-Flex III Bite Sized Dog Chews has 120. Each chew contains 10 active ingredients, including 1000 mg of glucosamine, 1000 mg of MSM and 600 mg of Perna canaliculus. According to the manufacturer, the product is not only for senior or older dogs but also for, “active and competitive dogs to maintain top form”. The manufacturer states that the product has been, “…clinically proven to increase hind leg strength in dogs by up to 41% in 4 weeks.” Another good all around product. We give Vetri-Science Laboratories Glyco-Flex III Bite Sized Dog Chews our exclusive FOUR STAR ranking. 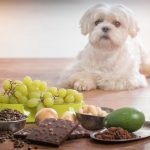 As you look at all of the different senior dog hip and joint products to compare ingredients and the various dosages of each of the ingredients.